We all have favorite foods. If you’re like most people, your favorite food is probably not the healthiest, either. Some people have a weakness for pies, while others prefer brownies, cakes, or even just rich and delicious pasta. No matter how much we may like one particular food, however, we all know we need to limit our intake of it. No one can survive on just one single type of food. Imagine parents trying to introduce their baby to new foods. Although they might focus on a particular food for a meal, they aim to create a rich and varied diet for their child. Each type of food has different benefits that help the child become healthy and strong. The different parts of the body all require different nutrients to keep them functioning properly. If a person’s diet becomes too concentrated on a particular food, they’ll end up short of the nutrients found in other types of foods. This can result in a variety of disorders resulting from nutritional deficiencies. It’s easy in business to limit yourself to just a few marketing techniques. You might look at the success others are having on social media and want to confine your marketing to social media. Or, if your company’s been around for several decades, you might feel reluctant to dive into new digital and inbound marketing techniques and try instead to keep growing your business using cold calls and other outbound techniques. This level of restriction will seriously deplete your business of the growth it needs to succeed in the modern market. 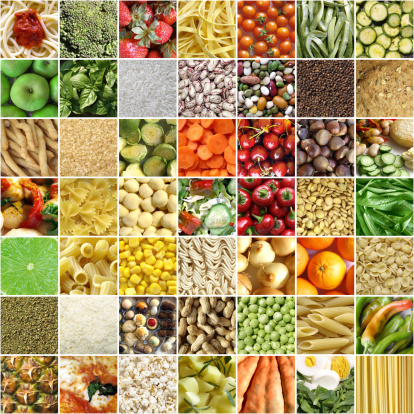 Just like a person who eats only pasta dishes, your business might continue to grow, but without many key nutrients needed to sustain that growth. Eventually, the person trying to survive on only pasta will notice they don’t feel as healthy as they once did, and you’ll notice the same about your business if you limit yourself to just one or two marketing strategies. It’s important in business to maintain a balanced diet of marketing techniques. This means integrating a variety of different marketing strategies to reach your targeted audience efficiently. Every company will have different marketing platforms and systems that work best for them. Finding the right balance can help your company stay healthy and prosper. If particular aspects of the campaign failed to produce enough results, don’t be afraid to eliminate them and try something new. Building a successful marketing campaign is like eating a well-balanced diet. It’s important to build a healthy mix to strengthen your business and maximize the opportunities for reaching new customers. If you’re interested in learning more about beginning a new marketing campaign, contact us today. We’d be happy to help you get started. Like any business, you probably use a wide range of marketing materials in an attempt to spread your message far and wide. Even though you rely heavily on the print techniques that have worked so well in the past, you’ve probably also branched out into the wonderful world of social media and digital marketing. But one marketing opportunity remains largely untapped by many businesses. That opportunity is the trade show, which brings with it a wide range of opportunities you can’t ignore. One challenge of any marketing campaign is grabbing the attention of your target audience. In a lot of cases, those who receive your mailers or who see your posts on social media aren’t necessarily looking for your particular product or service at that time, which means you not only have to grab hold of their attention in a meaningful way, but you also need to do whatever it takes to maintain their attention until they are ready to buy. In contrast, a trade show is essentially the exact opposite situation. Trade shows, by their very nature, are designed to bring both consumers and businesses together in a venue where interaction is the name of the game. You don’t have to struggle to grab their attention — they’ve shown they’re already willing to give it to you just by walking through the door. 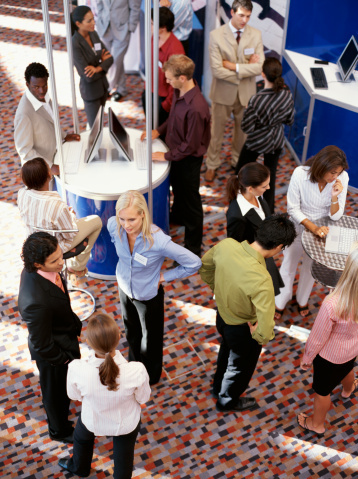 As a result, trade shows are excellent opportunities to create lasting impressions. This represents a massive opportunity for generating leads you literally won’t find anywhere else. Every single person who walks through the door is a potential lead just waiting to do business with somebody like you. Perhaps the most important benefit of trade shows, however, is one of equality. A company with $1,000,000 to spend on marketing materials and a company with only $1,000 to spend are essentially on completely equal ground. If you can make a solid presentation and have your booth staffed with helpful materials and the right employees, you’ll attract visitors who will stop and hear what you have to say. From the lasting impressions they tend create to the face-to-face encounters you just won’t find anywhere else, trade shows are truly an excellent opportunity to reach new customers. There are few better venues for finding like-minded individuals who are already interested in your particular industry. If you play your cards right, practice brand consistency, and put your best foot forward, you’ll discover trade shows are an investment that can pay dividends for a lifetime. Imagine for a moment you’re the new kid at school. You arrive on the first day and take a few deep breaths before entering. Around you, kids are happily chatting and comparing notes from their summer breaks. From the rockers to the geeks, each and every group seeks to have a strong representation at the school. Each social group seems to have established its own social hierarchy, and everyone knows exactly where they fit and what role they play within the school community. As the new student, you nervously look at your schedule and make your way to your first class. It’s clear to you that you will have to find your own place of belonging within the already saturated student society. That’s never an easy task for new students. Fortunately, you’ve been the new kid before, and you know the first step to finding your place is forming a few connections. You need to look for ways to demonstrate how you’re a worthwhile friend for people to have. You head into that first class with your head held high, confident you’ll be able to find new friends. If you’ve ever experienced the above scenario, then you know just how stressful it can be. Once you’ve left school, you might even think you’ll never have to worry about finding your place again, but that would be untrue. New business owners must go through a similar process whenever they look to establish a new business. The new student in the above story knew there were two key parts to becoming comfortable at the new school. First, connections with some other students had to be made. This typically involves getting to know a peer well enough that they’re willing to invite you back to hang out with the rest of the group. The second key part was proving you’re a fun person to hang out with and that you belong in that particular social group. As a new business owner, you’ll also need to establish connections with other professionals. Networking is a critical component to becoming secure. These connections will be fantastic for providing referrals to your company, coordinating different projects, or generating new business directly by buying from you. New connections are your link to the established industry marketplace. Just as the new student needed to prove their worth, you’ll also need to demonstrate how your products and services add value for your customers. You must have something to show that can intrigue people and encourage them to learn more about you. You might offer service to a new niche, better prices, a revolutionary product, or something else, but you must be able to show worth and value to get your foot in the door. Being an entrepreneur is never easy. Finding your way when you first open your doors might be the hardest step. Similar to the new kid in a new school, you have to learn where you belong within your industry and establish yourself as a company worth your customers’ time. If you want to improve your brand reach with a marketing campaign, contact us today to get started.